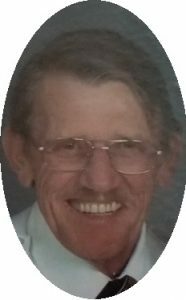 Sedan – Phillip Sidney Wayman, age 80, of Independence, Kansas formerly of Sedan, passed away Thursday, May 10, 2018 at the Labette Health Center in Independence, Kansas. Phil was born on June 21, 1937, to Sidney Wayman and Ruth Grace (Crowther) Wayman in Salt Lake City, Utah. He grew up and attended school in Utah. After high school, Phil enlisted in the United States Marines until he was honorably discharged and later enlisted in the United States Coast Guard serving for almost two years before he was honorably discharged. On June 8, 2002 he married Shirley Moor in Sedan, Kansas. They made their home in Sedan from 2002 until 2013 when they moved to Independence. Phil worked many jobs throughout the years, he worked as a miner in the Anaconda Mines in Utah for several years but his passion was caregiving. He enjoyed caring for people, taking them places and just being there for them. Phil had a gentle soul and had a passion for people. Phil was a member of the First Baptist Church in Independence; he liked to watch television; going to church and helping with the children; he enjoyed his family and also board games. Phil is survived by his wife of 15 years, Shirley Moor Wayman of the home in Independence, Kansas; three sons, Jon Wayman, Phillip Wayman Jr., and Mark Wayman all of Utah; four-step children, Michael Moor of Moline, Kansas, Marshall Moor of South Coffeyville, Oklahoma, Melissa Hottel of Tulsa, Oklahoma and Michelle Moor of Knoxville, Tennessee; three brothers, Brent Wayman, Bruce Wayman, and Jon Wayman all of Utah; several grandchildren and great-grandchildren. He was preceded in death by one brother Dennis Wayman and his parents. Cremation has taken place and a memorial service will be held at the First Baptist Church in Independence at a later date. To view the obituary or leave a message for the family please go to www.dickensfuneral.com. Dickens Family Funeral Home of Sedan is in charge of arrangements. Im so sorry for this great loss! Im in utter disbelief and my heart aches for this man and his family..Phillip was a good friend of our families since i was 3 yrs old and he used to carry me around as if I were his own and called me Minnie Mouse...this man will be greatly missed forever . Shirley, my thoughts are prayers are with you in these days of adjustment. I was shocked to learn of Phil's passing. I will come see you in the near future.